It was necessary in a hurry. There was stock and it arrived soon so it was very helpful. Quality is using reliable PISCO's products. This review is about item#35311717. It is saved with good parts of COSPA. Thank you for using it as an existing brand. This review is about item#10369292. I will use this type of thing for the first time, but because it did not find a monotaro or Osaka soul, it is good to make this purchase. This review is about item#10369283. I ordered three items including this item on the same day. Three points are used together but this product only took time to arrive. I knew that it would take some time to arrive when ordering was done from the person in charge because the others arrived sooner but it was better if I arrived a little earlier. This review is about item#10369301. I could buy it cheaply with the same one that I was using. Convenient conversion fitting when diverting KEYENCE's electric digital pressure gauge as automotive meter. 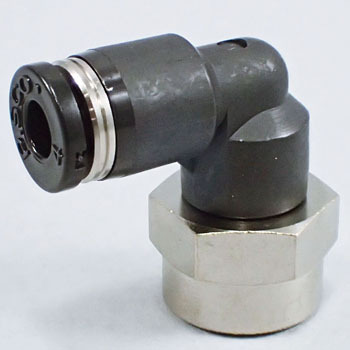 Since the attachment part of the pressure sensor of Keyence is screwed, it is necessary to cut the threaded hole in the intake pipe and attach it directly, but if you use this fitting it is possible to install it almost in one touch. I am satisfied because it can be used without leakage. Because it is harder to rotate than other companies against rotation, you can decide the take-off angle even with a hard tube of φ8. This review is about item#10369326.